Belladonna 8C, Cyclamen 8C, Coffea tosta 4C, Iris versicolor 8C, Nux vomica 9C, Sanguinaria 8C, Spigelia 8C, Viburnum opulus 4C. 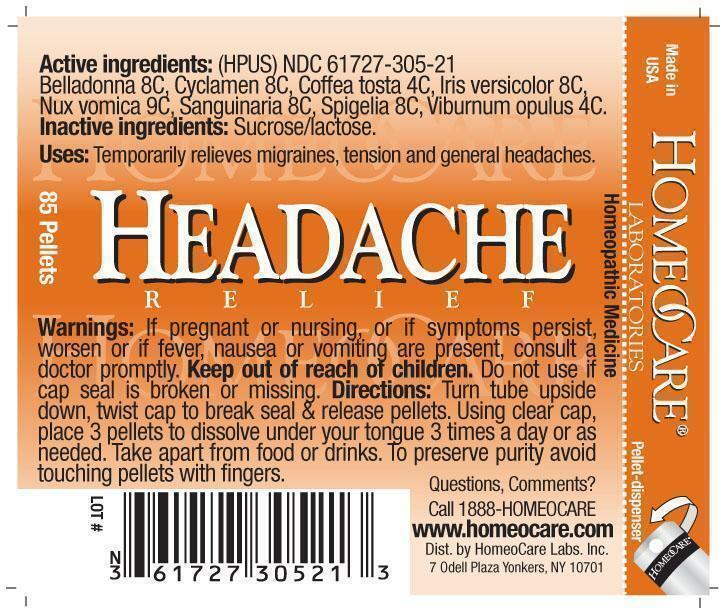 Temporarily relieves migraines, tension and general headaches. If pregnant or nursing, or if symptoms persist, worsen or if fever, nausea or vomiting are present, consult a doctor promptly. Keep out of reach of children. Do not use if cap seal is broken or missing. Turn turn upside down, twist cap to break seal & release pellets. Using clear cap, place 3 pellets to dissolve under your tongue 3 times a day or as needed. Take apart from food or drinks. To preserve purity avoid touching pellets with fingers.